Your story was dated 20th Feb. The DENR did come down for an inspection but declared that the water tests were not anywhere near the pollution levels of Boracay.. They have asked local resorts to get water dispatch permits within 6 months.. I thought you had found very recent news of imminent shut down!! Fake and imaginary news based on an old sensational headline story! I`m not surprised. Posting links is easy..Just copy and paste the URL of the "news" page and paste it here..Viola!! Link! Hehe. Yeah. "Reasonable rate." I love the pools and the beach... and the really friendly and tall dive master. 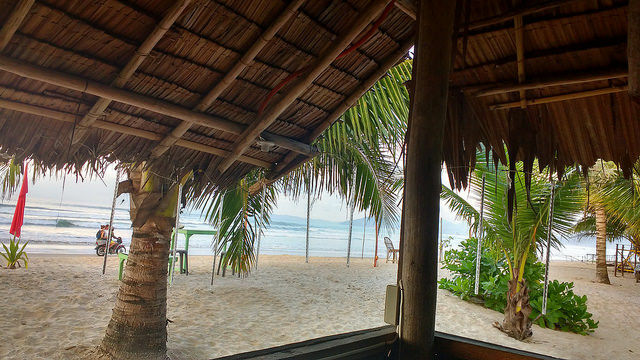 I'd also love to see someone give an answer here for a real budget place Like less that Php1k (20USD) decent room, beachfront, with a pool and restaurant. That place is a dream. I'd stay with Coco Grove, if and when the dream becomes reality. Try the Coral Cay. you can watch the sunset at the bar, and the back fan rooms are close to your price dream. Its still interesting to see what the upscale favorites are. For us it's mostly about the place being kid friendly. We really like The Bellevue on Panglao - easy to get to but a bit away from everything, good food and services, plenty of water activities, kids playground and pool, indoor activity center for kids and adults, ticks all our boxes really. It's like a scaled back version of the Sofitel in Manila, but on a beach, NOT on Manila Bay. One of my favorites as well. Is the "Green Flash" still running? How important is a pool to you? I can give some information about some of some of my favorite resorts, but they don't have a pool. Some pics of one of them. Off the beaten track though, on Cuyo Island. 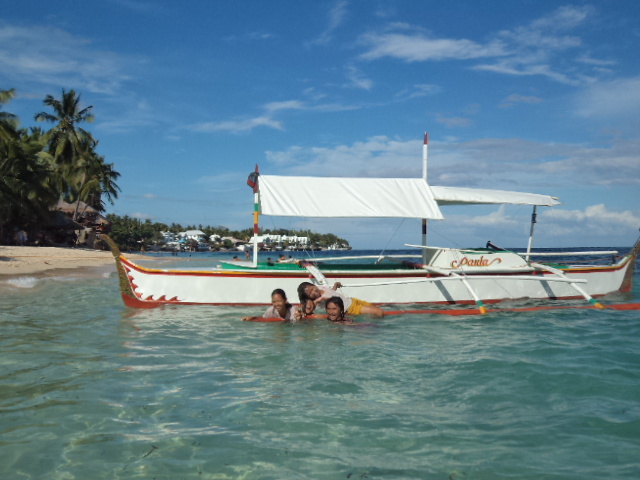 If you liked on Siquijor, I’d recommend Port Barton, Palawan. Not as easy to get to, especially in the wet, but it has the same laid-back feeling. No specific resort recommendations, I’ve stayed at four different resorts on the beach there and they were all good. The difference between the resorts like Coral Cay on Siquijor and the resorts in Port Barton is that in Port Barton they are all on the one beach, so you have a better choice of resorts, bars and restaurants, all within walking distance. Some excellent snorkelling and island hopping offshore, IMO just as good as the islands out of El Nido, but without the crowds. I like El Nido, but if I had to make a choice between the two, Port Barton would win hands down. Another good thing about Port Barton is that it's easy to charter a banka boat from there to San Vincente. Some excellent resorts off the beaten track in San Vincente, some surf even, but some places affected by sand flies. I can only think of two offhand that have all those amenities and is less than 1000. Getting a room ANYWHERE on a resort with a pool that is less than 1000 is a feat in itself. There is only about 10-12 places to stay on resorts that have a pool, for 1000 or less anywhere in the entire Visayas. 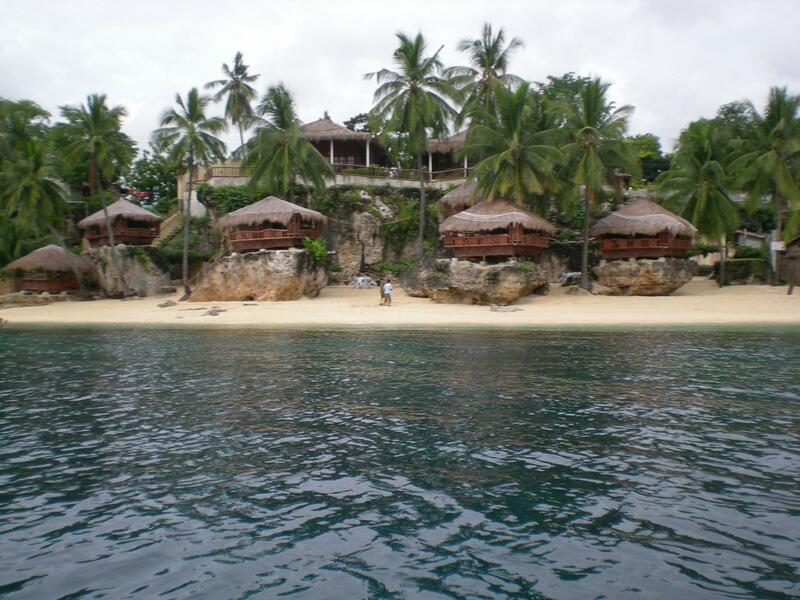 1) Santiago resort, Santiago, San Francisco, Camotes still sell their basic, and very small fan rooms for 1000. They haven't changed the price for 12 years, even though 12 years ago the pool had not yet been built. They've done well there, although I never stay there when I am on the Camotes. It is not really beachfront in the sense that the accommodation is right on the beach itself though. 2) Vidar Family Resort, Tuburan. Fan bungalows for 700. Pool, 50 pesos per person extra. Again, not right on the beach though. Building the resort, they decided to have the restaurant in the beach facing area. there is a lot of places right on the beach for less than 1000 but with no pool on the resort. The difference between the resorts like Coral Cay on Siquijor and the resorts in Port Barton is that in Port Barton they are all on the one beach, so you have a better choice of resorts, bars and restaurants, all within walking distance. I kind of prefer to have the resorts spread out a bit, just to keep them differentiated. Usually have a motor for those short, breezy changes of venue. BTW, yes, the green flash is still running, apparently, at Coral Cay. Setting a limit seems like a recipe for frustration and an endless search. I prefer to set a range, say, P1000-P2000, and then decide if the value of what I get for the price is worth it. You'll have a lot more options with a price range, vs price limit.